Personalizing the latest temporary home is a challenge for military families. There’s the new layout to consider, the paint colors, the rules of the rental agreement, and much more. 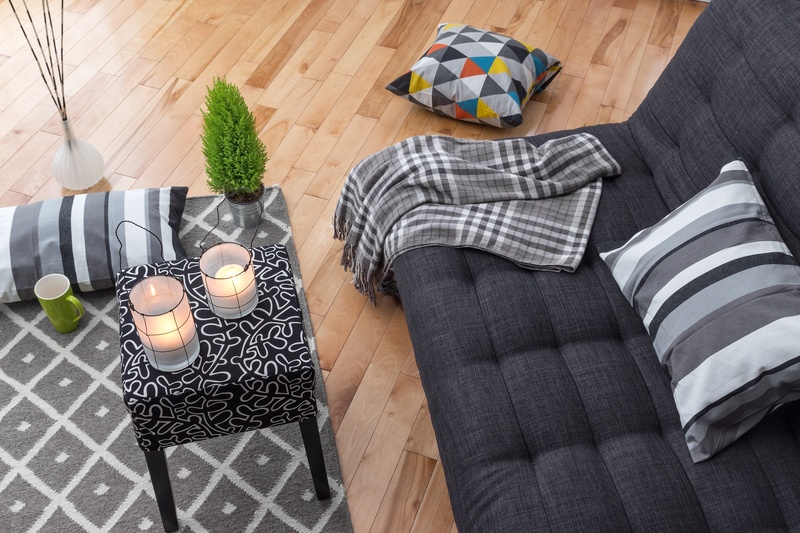 Whether living in a rental home or base housing, applying your style to a space that is only yours to call home for a few years is daunting, but it can be done! Use these easy home decorating ideas to put a personal stamp on your rental or on base housing. Fortunately, there are military spouses out there who have the gift of “Making Temporary Feel Permanent.” This is a perfectly accurate tag line from Brianna Beninati’s website, Based In Design. 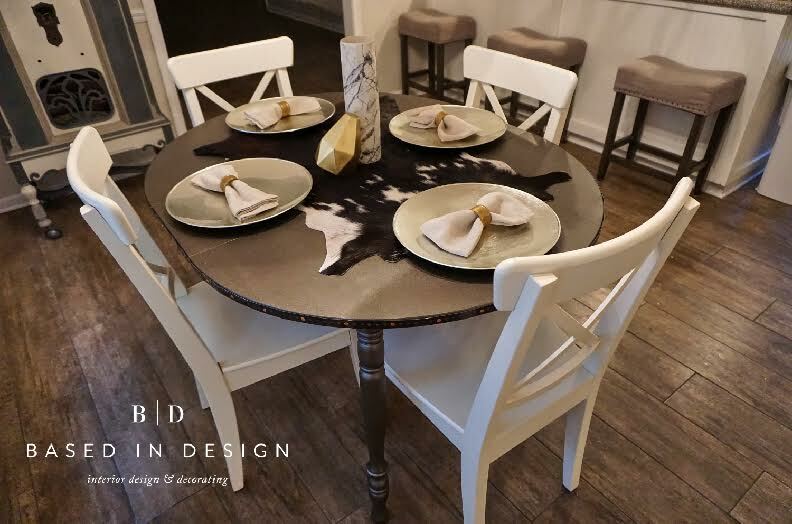 Brianna offers interior design and decorating consultations in person near her home city of Columbus, Mississippi and virtually for military clients across the world. Making a house a home takes a certain knack – being able to turn bare walls and transfer beige carpeting into a warm, signature place that feels like home is an art. Do bare walls and beige carpeting sound familiar? It’s the plight of military renters everywhere, but take a look at some of Brianna’s work. She’ll inspire your creativity. 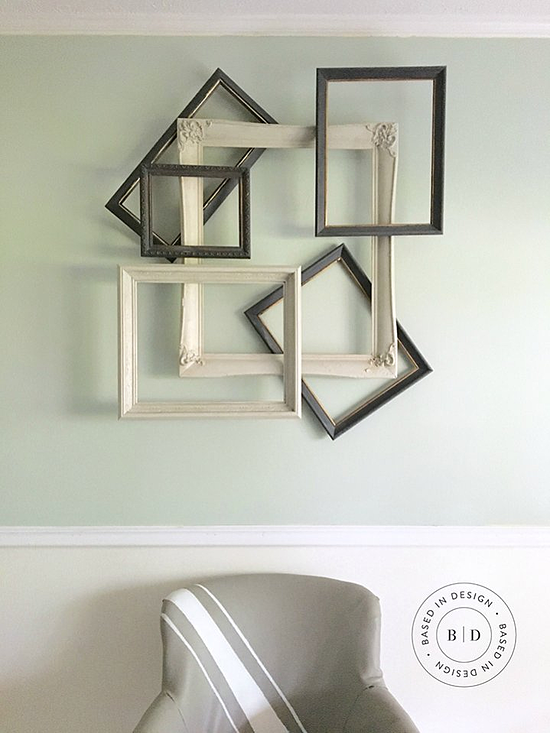 No doubt, talented professionals like Brianna can turn your blank home into a signature space of your own quickly and according to your budget, but what if you’re a DIY kind of person and decorating is a hobby? Your out-of-date house may be a welcome challenge to overcome! If you’re beginning your decorating journey and need a few tips to get started personalizing a rental, check out a few of these suggestions. They’re all user friendly, reversible, and initial mistakes won’t ruin the project! 1) Small touches of paint can add up to a huge difference. 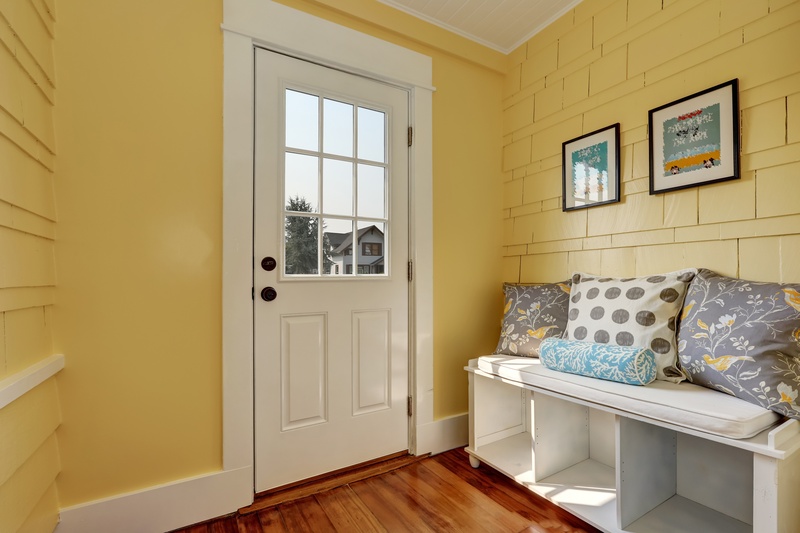 If painting entire rooms is unmanageable, pick a small but impactful project. A ceiling color other than white is an unexpected but effective technique for introducing character into a room. Pantry doors in the kitchen are also perfect place for a bit of color. 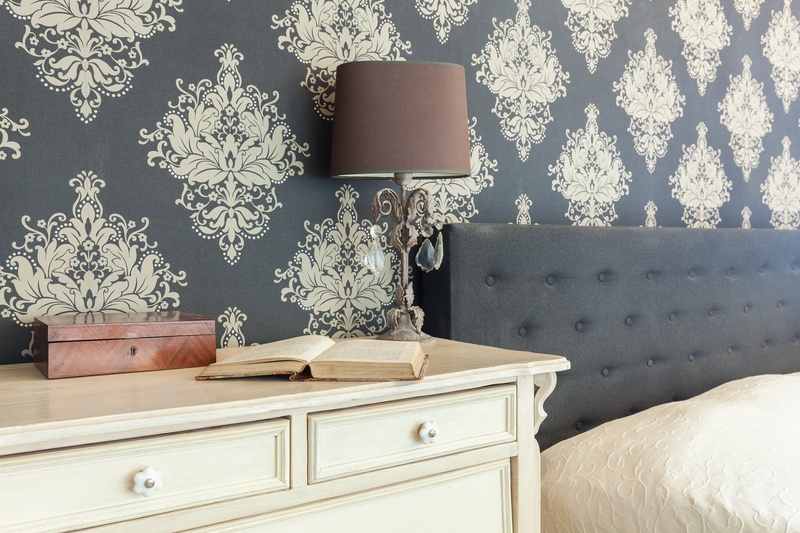 2) Wallpaper is not just for your grandmother. Easy Change Wallpaper by Sherwin Williams is ideal for those who need a simple decorating project to shore up their decorating confidence. The paper is simple to install, remove, and clean. Designs come in eight genres, like Coastal Cool, to suit your preferences. 3) You can even update tile! Rentals often have outdated tile. 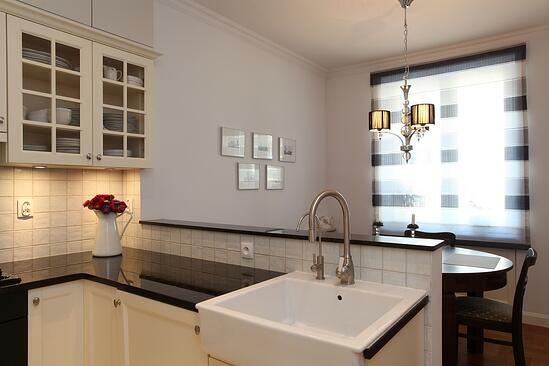 Updating back splashes will instantly renew the whole feel of the kitchen. Smart Tiles are removable and self-sticking tiles that renters adore, especially because they are suited for the humidity of a bathroom, too. Instant refresh! Accessories go a long way in a neutrally painted home. If painting is prohibited, the next best way to bring color into the home is through items like rugs and color statement lamps. They break the monotony of beige and show off a little bit of personality. For the ultimate in personalization, add monograms or the family’s last initial to pillows or other decorative elements. 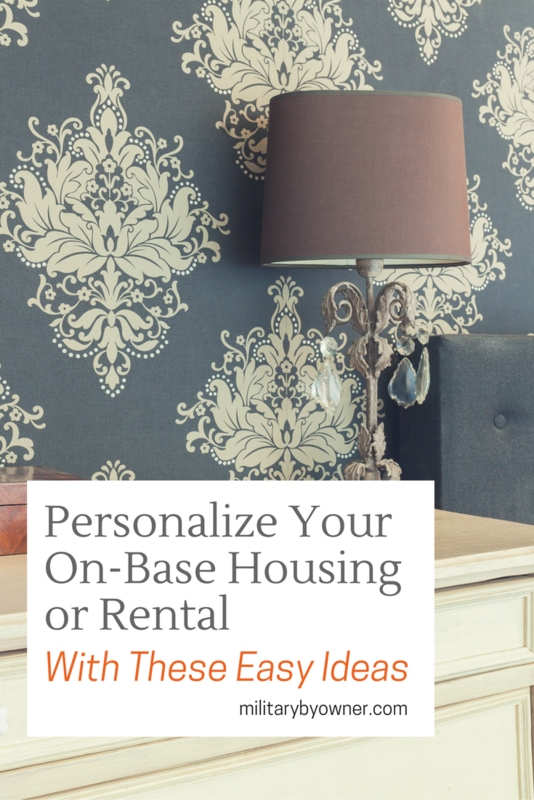 Rentals or base housing don't have to be intimidating or plain for two or three years. Experts with real military life experience are available for hire, and decorating projects for even the newest DIY'ers are more accessible than ever. 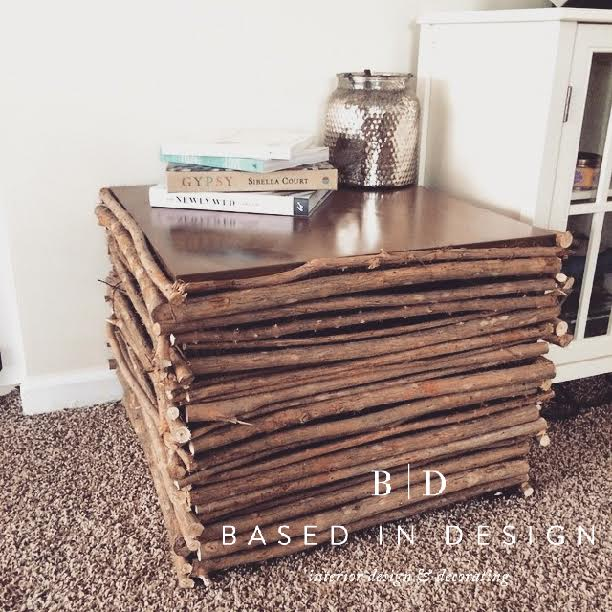 MilitaryByOwner also has a deep collection of decorating ideas for temporary housing. Pick a project and get started!